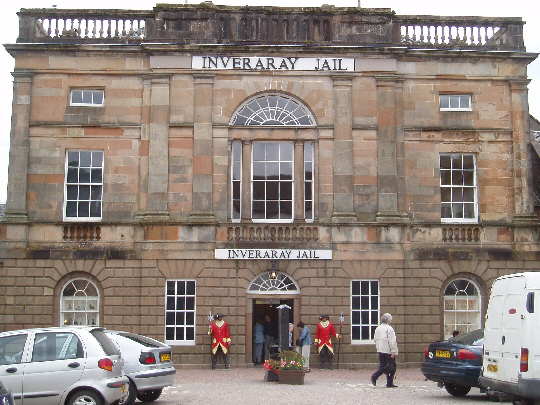 Inverary jail is a popular visitor attraction located in Inverary which was for many centuries the principal county town of Argyll. As it held this position it was only proper that from the mid 18th century the courts met in the Town House on Front Street, and the ground floor below the courtroom served as the county prison. The prison as it stands today was completed in 1848. The New Prison (as it was known), or Men's Prison, was a model prison for its day with 12 individual cells, a water closet on every floor, accommodation for warders, a store room and indoor exercise gallery. It was also well heated and lit by gas, a far cry from the dark and damp original prison building. The Jail finally closed on the 30th of August 1889.